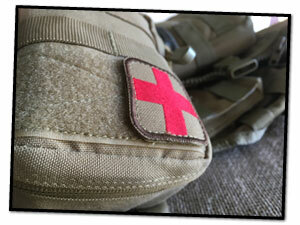 Does your first aid kit have the capability to handle major bleeding? Most do not. Improve the capability of your first aid kit by upgrading it to an IFAK with our free, easy to use checklist. Most personal first aid kits focus on care of minor injury or illness but do not include the supplies necessary to handle major bleeding. 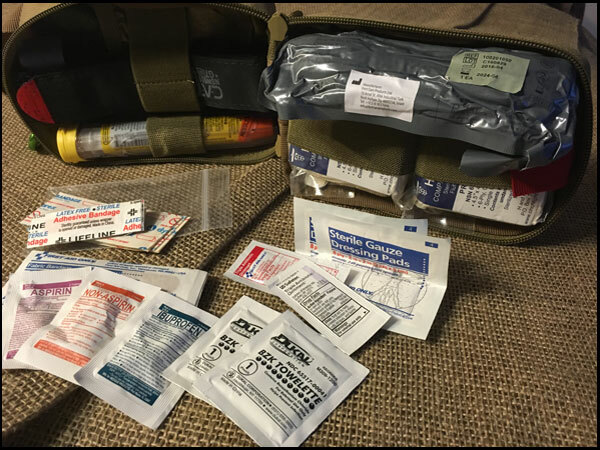 The Improved First Aid Kit or (IFAK) increases the capability of a personal first aid kit by adding the items necessary for field management and control of major bleeding. Why is this important? Most may think of combat gunshot wounds or an active shooter situation as when they are needed. While true, and an IFAK did grow out of the military and combat medicine, this is not where the highest risk lies for the civilian world. So where can an IFAK help us? A fall in the wilderness resulting a severe laceration. All of these have a higher likelihood of occurrence to the average citizen than injury during a tactical engagement. And the proper use of an IFAK during these home emergencies can save you or a loved one’s life. Our free checklist below will help you build your IFAK so you are prepared with the tools needed to care for a loved one during a life-threatening bleeding emergency. You Have the Tools, Now Get Trained! Use the checklist to arm yourself with the tools, but don’t stop there. Get proper training on how to use the tools in the kit. Your tools are useless if you don’t know how to use them. Proper training on tourniquet application, wound packing, direct pressure, and bandaging are imperative. In these situations, seconds count. You only have a few minutes to get the major bleeding under control before potential death due to blood loss. And realistically, without training and the medical supplies in an IFAK, you may run out of time before emergency medical help arrives. Build your toolkit and train on how to use it.